Who doesn’t love a French ballerina? Come on, admit it, you love ‘em. I do. The DVD Yvette Chauvire: France’s Prima Ballerina Assoluta is a wonderful film that features Madame Chauvire coaching some of Paris Opera Ballets etoiles, like Sylvie Guillem and Monique Loudières. I love to watch ballet coaching. It makes one aware of the nuances to the interpretation of each role that individual dancers work out. At least, I really hope that they do. There are a few dancers who have been commercially successful but fail to really show depth of complexity much less subtlety and nuance. A nice balance of complex and nuance is what makes me a believer sitting there in the darkness of a theater. At any rate, I love to watch coaching because I get to see one person’s interpretation. I think it makes me more ready to watch live performances since I’ve been “primed” so to speak, ready to really look and absorb, for instance, does Giselle drop the petals to the floor or drop them into her lap, does Odile taper her fingers to make smooth feathers or spread them to make wings? Madame Chauvire speaks with her whole body, you can have the English subtitles but its kind of fun to watch it in French and see how much you can pick up. She is so expressive that I was very much mesmerized by her most of the time anyway. The DVD includes these segments below with young etoiles intertwined with old footage of Madame Chauvire dancing. It’s also really exciting to have such an amazing array of Paris Opera Ballet etoiles coaching sessions available on one DVD. This is a silly observation but I have to admit to being really sweet on the matchy-matchy dancewear of a couple of the etoiles, Monique Loudieres in particular. On her DVD, she is not only seriously matchy-matchy but she is matchy-matchy with her partner, quite often the wonderful Manuel Legris. More on that later when I review that film! 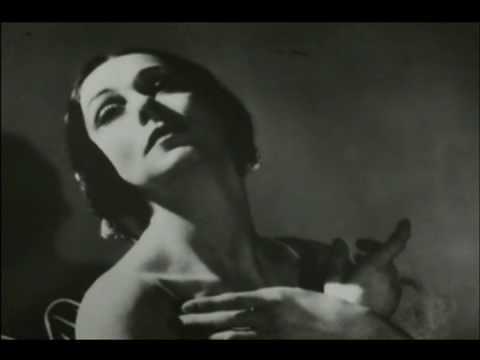 One of the things that is so incredible and so inspiring is that clearly Madame Chauvire is an older woman and her ballerina figure has changed but she still moves through the choreography with an elegant grace and the expressions on her face show that she is still feeling the characters deeply. The word out there is that Madame Chauvire isn’t really a great teacher but since I stand no chance of being taught by her, it’s not really a concern, n’est-ce pas?